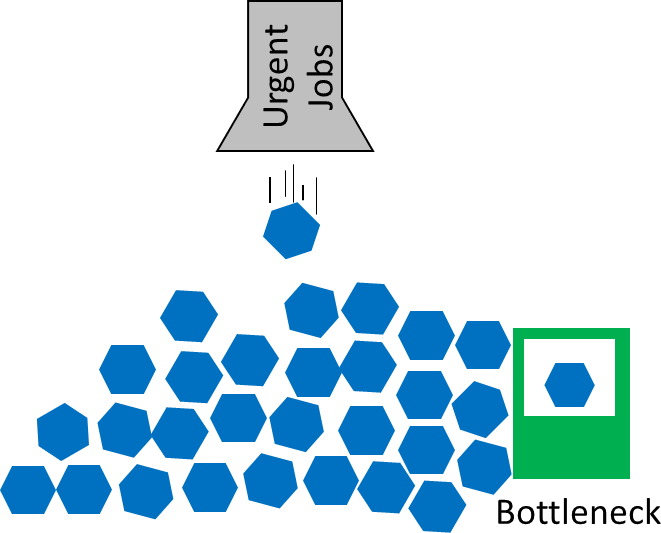 Illustration of dropping urgent tasks in a push system. leading to an accumulation of unprocessed tasks. Image copyright Christoph Roser on AllAboutLean.com.